As you may know, CYP’s PUV-1082-4K22 10 x 10 HDMI HDBaseT Matrix was nominated in the Technology for Signal Distribution category of the 2017 InAVation Awards. The event, powered by InAVate & ISE, was held on Tuesday 7th February - the first evening of Integrated Systems Europe 2017 in Amsterdam, the Netherlands. More than 700 leading audiovisual systems integrators, consultants and installation professionals gathered at the iconic Gashouder venue to celebrate the best solutions that the industry had to offer. Sadly, we didn’t take home the award in our category, but our nomination was not the only reason for us being there. 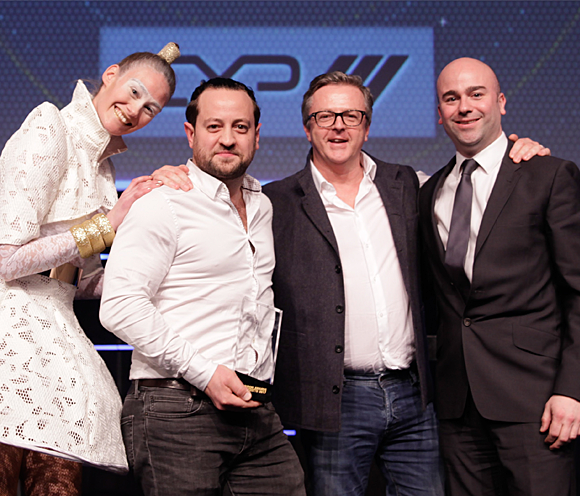 CYP were also proud sponsors of the Best Transportation Installation category from the much coveted Project Awards, contested by the world’s top integrators and considered the benchmark of success for AV integrators. Delta Sound - the winners for their ground-breaking interactive audio installation which brought the sounds of China’s Yangtze River to the 194 metres which makes up the length of the Gatwick Skybridge - were presented with the award by Martin Featherstone, Commercial Director at CYP. Using Bose FreeSpace DS100SE speakers and 60,000 metres of speaker cable (roughly the length of 584 football pitches! ), Delta Sound’s installation has given passengers a truly immersive audio experience and we were delighted to present them with the award for their exemplary work. Click here to visit our Facebook page and take a look at our gallery from the event. From everyone at CYP: congratulations once again, Delta Sound, for your fantastic achievement.